This boy was all smiles as he left for school. Grumps and I picked him up afterward...still smiling...and took both boys out for ice cream. I think we started a tradition! So today is packing day. MM is mostly done, but I am not, but it is no big deal. Pretty much same old-same old stuff goes on every trip. The fashion police don't travel with us. The river cruise is casual all the way, so we won't need as much stuff. MM is grateful not to have to take fancy duds, not that he ever gets real dressed up. I know the cruise counter says we leave on the 11th and that is true. We fly to Dusseldorf tomorrow, so come along for our next adventure if you want to join us. Welcome to new commenter Jo Dee! I would love to know where you are from, OK? The ship has wifi, so I will be posting as often as I can, and only doing a few pre-posts for informational purposes. But this also means that all comments will come into my inbox, so y'all let me know what y'all are doing while I am gone. 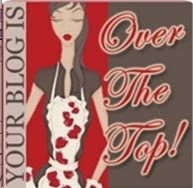 I don't know how much blog hopping I will be able to do, but I will try. And I want to hear from everyone. Life is too short not to get out and see the world. We are trying and smiling! Oh, you can be sure that I'll be tagging along! Have a wonderful flight! Leave the flying to them though, OK? I'll be coming along as always. I wouldn't miss it. One of our yacht club members did something similar this year and loved it. I know you two will have a ball because that's just how you roll. and i can't wait to go with you. wish it was for real, those river cruises are the BEST. LOVE them! Can you say where, not to Italy! The boy looks so cquiet and happy...is he thinking of the icecream afterwards? We have a golden Saturday!!! !